The world has changed significantly in the time since the emergence of the global HIV/AIDS epidemic. The international HIV/AIDS response has prevented 8 million deaths and 30 million new infections since 2000, and many of the worst-affected countries have managed to cease—and in some cases, reverse—the spread of the disease . Sub-Saharan Africa has experienced a steady reduction in HIV incidence and AIDS-related deaths due to improvements in HIV prevention, diagnosis, and treatment . Though the fight against HIV/AIDS is not over and remains an important priority, African communities are increasingly faced with a different burden—the burden of non-communicable diseases (NCDs) such as cancer. As World Cancer Day passes, global health stakeholders must look to the lessons learned from the HIV/AIDS response in a push to prioritise cancer in Africa and beyond. By 2030, cancer cases in Africa are expected to double, in part due to increases in life expectancy and changes in lifestyle habits . Cancer does not simply pose a prospective risk to African communities, however. Cancer represents a present-day danger that the world cannot afford to ignore. In 2012, an estimated one million new cancer cases were detected in sub-Saharan Africa . In many developing African countries, late-stage cancer diagnosis is the norm, and post-diagnosis survival rates are often much lower than in developed countries . With a population of over 1 billion people, Africa is home to only 102 cancer centres, leaving many without screening and treatment options . Accurate and early diagnosis is essential to effective cancer programmes across the continent. Just as improving access to laboratory-based diagnosis and diagnostic technologies has been crucial to HIV/AIDS prevention and control efforts, assuring the availability of screening and diagnostic options for cancer will be the first step toward improved prevention and care. Laboratory services are not only key to cancer diagnosis, but are also vital to tracking patient response to treatment . Strengthening national cancer registries and collecting surveillance information about the incidence and prevalence of cancers will be a critical component of emergent cancer programmes. Africa is rife with opportunity for cancer programme investment, but buy-in at all levels of public health is essential to ensuring that opportunities are effectively harnessed. International, regional, national and local health stakeholders are increasingly focused on cancer as a priority disease in Africa, yet some are wary of investing in cancer programme development due to insecurity about high costs and difficulties surrounding prioritisation of interventions . 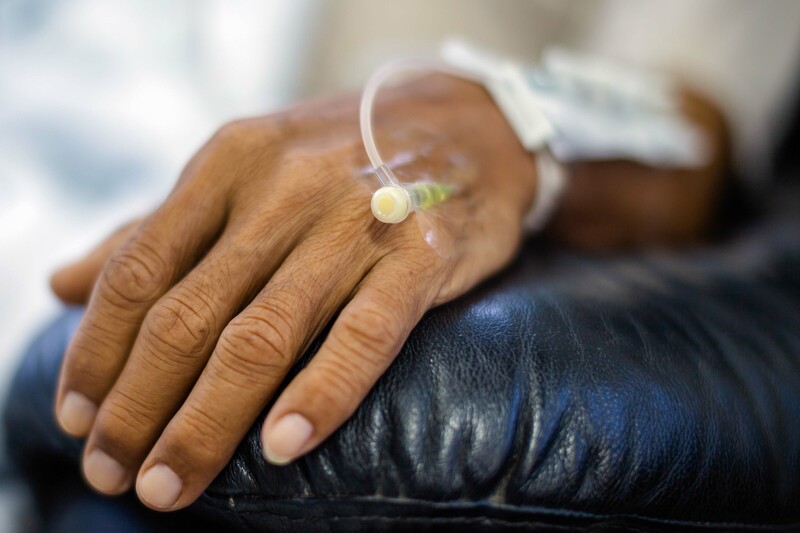 This ambivalence surrounding cancer programmes in Africa is reminiscent of stakeholders’ hesitation to invest in HIV/AIDS programmes in the early days of the AIDS response. The initial scale-up of HIV/AIDS services in Africa, buttressed by commitment from international donors, took place in spite of political push-back from cynics who argued that implementing quality HIV/AIDS services in resource-limited settings would be too difficult and too costly . Despite a challenging political and funding environment, incredible progress has been made in the global push to overcome HIV/AIDS. Learning from the lessons of HIV/AIDS efforts, governments, and nongovernmental organisations must join together to overcome the assumption that cancer programme scale-up will be too expensive and too difficult to implement. By taking a hopeful but realistic view of cancer programme investment options in Africa, stakeholders can bolster cancer as an important priority, overcome deferrals of donor funding, and prevent avoidable deaths from cancer. In a nod to the increasing recognition of the threat of cancer—and NCDs more generally—in Africa, ASLM is channelling its influence and reach to promote the prioritisation of public health issues beyond communicable diseases. The ASLM2016 international conference will include prominent sessions on ways forward for NCD programmes in Africa. Additionally, moving forward the ASLM-led African Public Health Laboratory Network (APHLN), a cross-continental network of national public health laboratories, will be able to play an important role in facilitating information-sharing about challenges and successes associated with laboratory-based cancer response efforts in African countries. For more information about the ASLM2016 conference, please visit: ASLM2016.org. Mills, E., & Ford, N. (2012).